"A Game of Swans" available January 20, 2018 ~ iTunes, Apple Music, CD Baby, BandCamp etc. View "Annabelle" Official Video Single for "A Game of Swans" album on YouTube. Tickets on sale at ticketweb.com. Click Here to purchase tickets or buy them at the Tractor. Visit their website for details. NEW: "A Game of Swans" album Pre-Sales begin on Boxing Day 2017 aka December 26, 2017. Order your copy from iTunes, Apple Music or Amazon today with delivery on January 20, 2018. OR get "Dutchman's Gold" TODAY. "Dutchman's Gold" is a song about greed and the Lost Dutchman Mine in the Superstition Mountains of Arizona. Get "Dutchman's Gold" from Amazon.com TODAY for a mere $0.99. 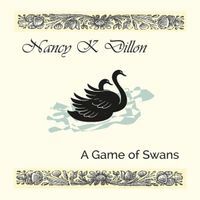 Click HERE or search on "Nancy K Dillon" or "A Game of Swans." 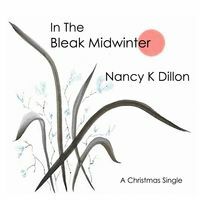 Rose Rock Records is happy to let you know about our new digital Christmas single release, the beautiful English Carol, “In the Bleak Midwinter” performed by Nancy K. Dillon & friends !! Click HERE to download your copy in high quality MP3 format. Available in either high quality MP3 download format or order a beautiful physical copy, To place your order: click HERE . November 9-12, 2017 Nancy heads to New England for the 2017 New England Regional Folk Alliance Conference. Artwork for A Game of Swans approved ! Heading to NERFA (New England Regional Folk Alliance) Conference in November. Can't wait !! Further details to come ~ stay tuned ! "Opening Doors with Songs and Stories"
So happy to say that my brand spanking new "Live at The Royal Room" CDs are here. And I must say that Discmakers did a fine job and were very pleasant to work with. Soon they will be available for sale in all your favorite outlets......Stay Tuned ! 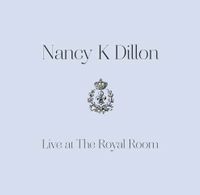 "Live at The Royal Room" CD has flown off to be printed. Release details coming soon ! Visit http://www.far-west.org/far-west-2016.html for more information. Welcome to our new site ~ Please have a look around. Nancy's new CD "A Game of Swans" coming soon !